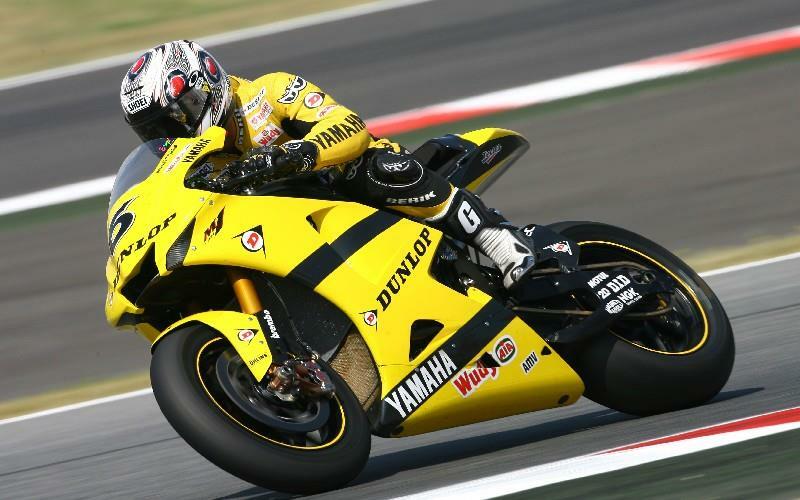 Dunlop boss Jeremy Ferguson has expressed concerns about MotoGP switching to a one-make tyre rule for 2008. And Ferguson admitted it is too early to contemplate whether Dunlop will bid to become the exclusive tyre manufacturer in MotoGP next season, if the new proposal is given approval in the Malaysian GP later this month. Ferguson said that Dunlop, Bridgestone and Michelin had always fought to avoid MotoGP following World Superbikes and Formula One by adopting a spec tyre rule. “We don’t want a one-make tyre rule. The view of the tyre companies has been consistent for two years. "The tyre companies want and have always been told by Dorna that they want open competition. When we were asked to come up with a proposal for the tyre regulations that are now in force, part of the reasoning behind it was to avoid any possibility of a one-brand subject coming up. "The regulations were introduced and as far as the tyre companies go, the regulations work and we are all quite happy. “Inevitably when you have competition occasionally somebody is better than somebody else and somebody wins and somebody loses, but that’s the nature of competition. "We were asked to consider whether we thought any regulation changes were required to improve the situation. We unanimously agreed that no change of any significance was required, “said Ferguson. Like so many others in the paddock, he concurred with the view that the one tyre brand proposal was a knee-jerk reaction to only a handful of dull races. He denied that the implementation of a one-make tyre rule was now inevitable, but conceded: “Clearly it would be out of character for Carmelo (Ezpeleta) to have put it on the table if he didn’t think he had a reasonable degree of support from some quarters. "I think the whole question has been a knee jerk reaction. Without supporting Michelin you are looking at a couple of races where they got beaten. That’s competition.